MediaTech specializes in creating custom home theater spaces that bring you sound and picture quality as good as or even better than you’ll find going out. If you enjoy movies, sports, music or video games, a custom home theater from MediaTech will bring your experience to a whole new level. A Home theater offers the ability to relax and entertain without having to leave your own home. 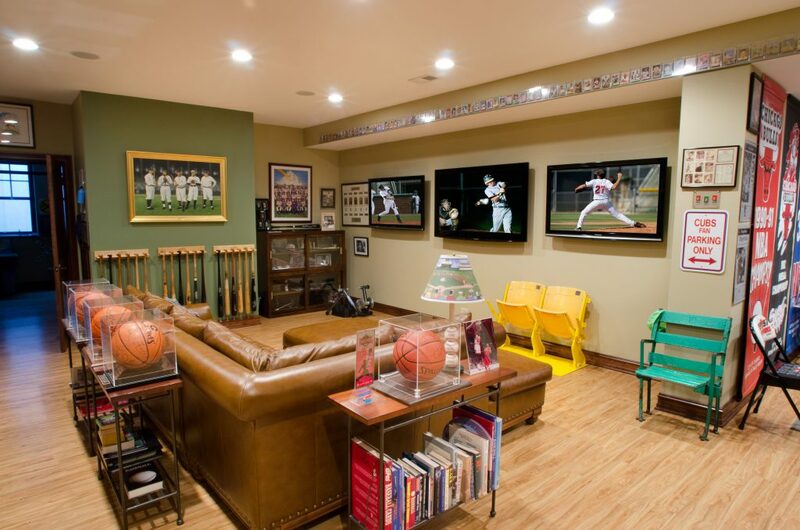 It’s the perfect setting for you and your friends to enjoy the big game and the prime place for kids and their friends to come together for an afternoon of video games. A custom home theater from MediaTech brings the ideal environment for your family to relax while benefiting from a movie theater experience that still allows you the convenience of pausing your movie when you need to go grab a snack. If you’re looking to add a high-quality listening and viewing experience to an already designed space, MediaTech is easily able to install a projector or flat-panel display along with surround sound. That way, your family room can still be enjoyed for other purposes, but when you want the home theater experience, it’s right there waiting for you. 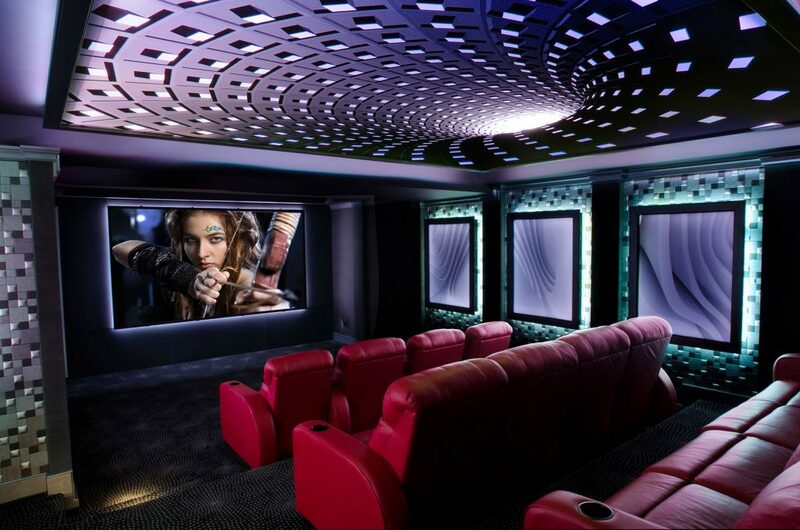 MediaTech can provide the ultimate experience in your custom home theater by designing a dedicated media room that features projector, surround sound, theatrical seating, and custom touches like color-changing lights, popcorn machines or stars on the ceiling. In addition, we are also able to engineer your media room with sound-absorbing panels that boost your experience and help prevent unwanted sound transmission to other areas of your smart home. Multi-screen systems offer a sports bar-like experience in the comfort of your own home without the noise and slow service. MediaTech can create systems that are easy to set up and offer simplified screen swapping capability. When the big game goes to commercial, switch that other game to the main screen and back again with one simple button press. How would you like to be able to store your entire video and music collection in one place? MediaTech often includes Kaleidescape media servers in the custom home theater systems and media rooms that we design. With these media servers, you’re able to access your collection from your home theater space as well as other areas of your home. As with any great smart home, your custom home theater wouldn’t be complete without automation. Bring your home to the next level with system control through MediaTech from Control4 and Savant. At MediaTech, we work with the best product providers in the industry to offer you the highest quality experience imaginable. All of our automation services come with 24/7 emergency service, extended maintenance agreements, and a one-year warranty. Contact us for a free consultation.